Departing Suffolk & Essex - Internationally celebrated pop star P!nk has announced she’ll be bringing her Beautiful Trauma Tour to the UK next summer. A modern pop icon, since the release of her debut record Cant Take Me Home in 2000, P!nk has released seven studio albums with combined total sales of over 57 million units. P!nk has nineteen top-ten UK official singles under her belt including tracks such as Get the Party Started, Just Like a Pill, So What and Just Give Me a Reason. 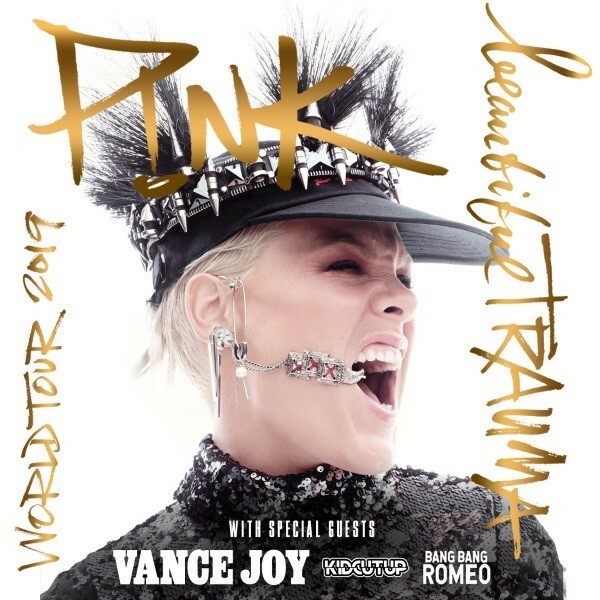 P!nks seventh and most recent studio album Beautiful Trauma was released in October 2017 and peaked at No.1 on both the UK and US Official Albums Charts. The album, which features the singles Beautiful Trauma and What About Us, has since gone platinum on both sides of the pond and Rolling Stone named the record one of their 20 Best Pop Albums Of 2017. P!nks last performance in the UK was a critically acclaimed headline set at 2017s V Festival. The newly announced tour will mark the first time P!nk has performed her own shows to UK fans since 2013.